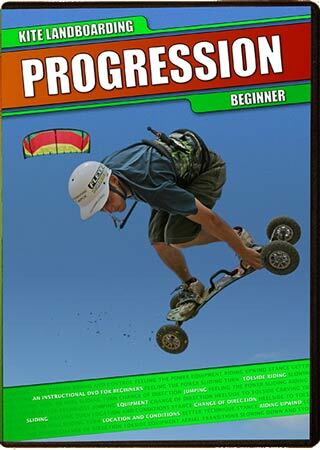 Progression Kite Landboarding Beginner is primarily aimed at people with some existing kite flying experience, whether that’s as a kitesurfer, power kiter or existing novice kite landboarder. We aim to give you all the background on the sport, safety, locations and conditions before getting up and riding on the board and slowing down and stopping. Then we’ll refine your stance, building your confidence so you can stay upwind consistently. Then its on to sliding, riding toeside and your first turns, before working on carving turns. 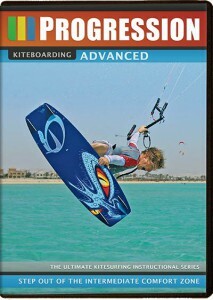 Finally we take you through every aspect of jumping – from the absolute basics, small jumps, improved technique for those huge boasting jumps, then a few grabs and finally aerial transitions. For Mountain Boarders here’s your chance to boost massive airs and you won’t need a hill or any ramps! 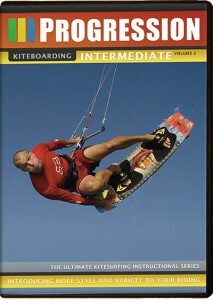 Just get yourself a kite, learn the basic kite skills and Prog KLB Beginner will get you up and riding, helping you change your stance and board technique to adapt to the needs of kite landboarding, and then you’ll be ready to . 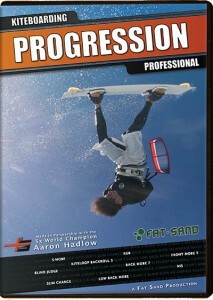 Progression Instructional Videos use a proven method that breaks down tricks and techniques into easily digestible chunks, helping you to understand not only what to do but why it’s so important. Our use of split screens, amazing slow motion, graphic overlays and targeted repetition will help to training your brain to remember the key points when you’re on your board and in the thick of it.